Loan periods vary with type of material. Most library materials may be checked out for three weeks. 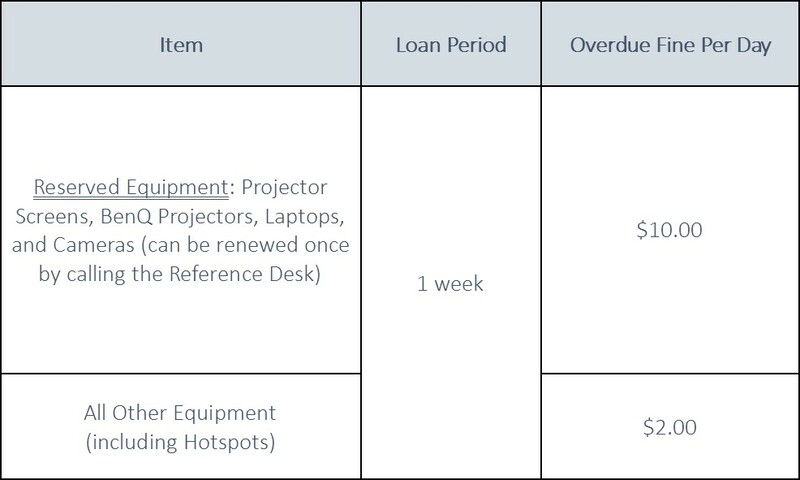 Some materials have a shortened lending period. Fiction DVDs and magazines have a one-week loan period. Eligible items will be automatically renewed. Please check your account for the due date. Please note: Video Games have a five per library card limit. Fines are charged for overdue materials. 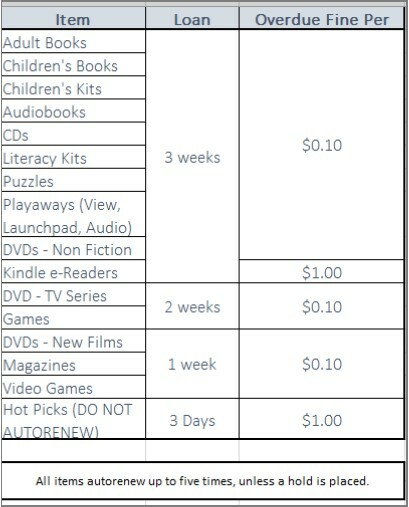 A fine of $.10 per day applies to most library materials. Overdue notices will be sent by text or email. For material not returned, a bill will be mailed after 42 days. Accounts with balances of $25 or more are are referred to the Library's materials recovery service. Your borrowing privileges will be suspended if you have fines of $10.00 or more, or you have been billed for an overdue item. Patrons are responsible for the loss of or damage to any material, equipment, or property. the retail price of a similar item. Current processing fee is $5.00. Bills and fines may be paid at the Library by cash, check, or with your Visa, MasterCard or Discover card. To pay online, go to MY ACCOUNT.